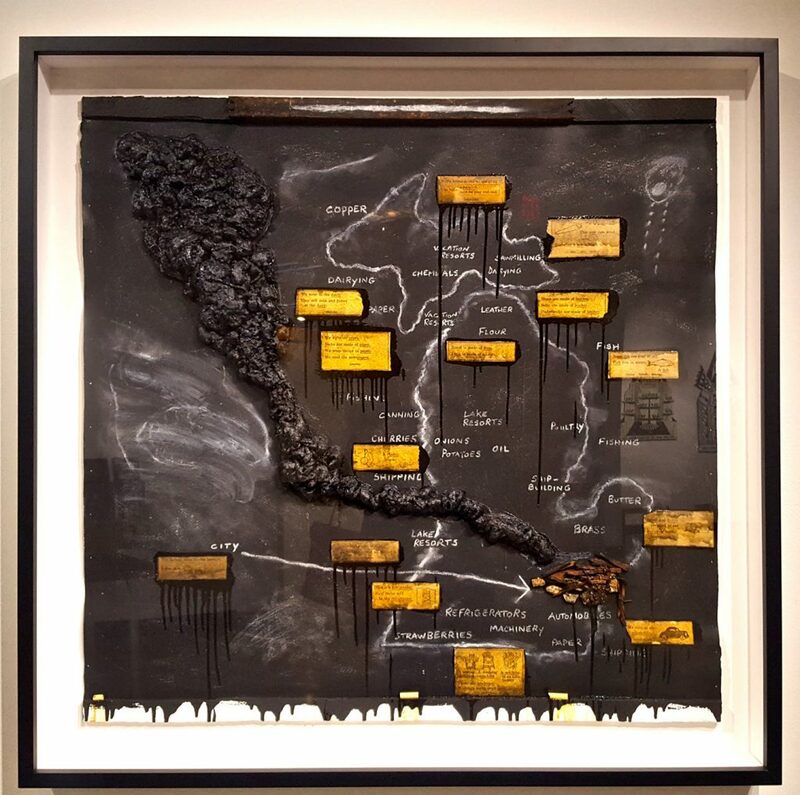 DETROIT — Greeting viewers upon entrance to Ryan Standfest’s solo exhibition at the Wayne State University Art Department Gallery is a framed map of Michigan, hand drawn in chalk, on a canvas treated with and dripping blackboard paint. The map is labeled with commodities and industries —cherries, butter, fishing, and lake tourism — suggesting a messy tribute to the Michigan Mural by Ezra Winter in the lobby of the Guardian Building downtown. Like most murals of the era that adorn halls of finance, Winter’s mural was designed to venerate the richness of Michigan’s industries and natural resources.